For decades, dentists built their practice by relying exclusively on reputation and word of mouth marketing. But today, most of their audience is on social media platforms. Facebook alone hosts billions of users. PEW research suggests that 70 percent of the Facebook users visit the site on a daily basis, which is why it has become an important platform for many marketers. The dental industry is predicted to be worth around $36.8 billion by 2021. If your practice wants a share in the profit, it must include Facebook in its marketing plan. There are various ways to attract, retain and ultimately market to your patients on Facebook. This article will help dentists who need a little push in their Facebook marketing efforts. Why Does Facebook Marketing matter for Dentists? Facebook is the most popular social channel for marketers. 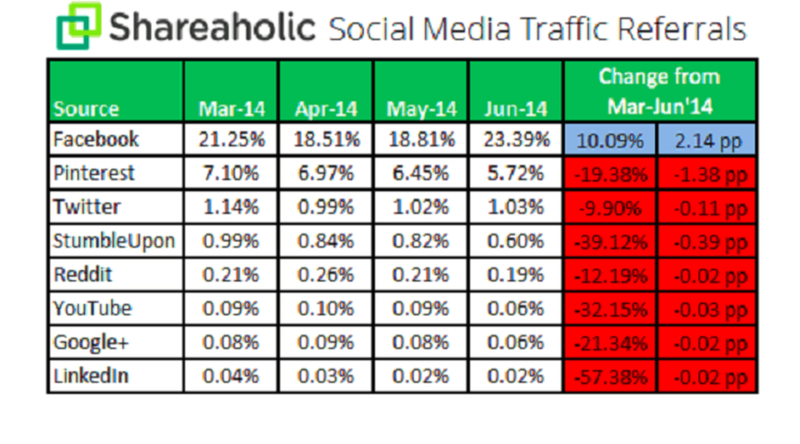 It alone drives nearly 25 percent of social media referral traffic. Here is why you should focus on Facebook for your dental practice. Since the boom of social networking sites, many dental practices are rightly seeing the power of being active on Facebook, Twitter, and Instagram. Dentists are in a different position than many other industries when it comes to marketing on Facebook. Dentists have to build trust and earn a patient’s confidence to convince them for an appointment. Facebook offers the ultimate way to build relationships with your potential customers. 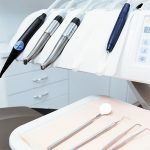 There is a certain fear and anxiety associated with dental visits, and Facebook can be used to convince your patients that you deliver a pain-free experience. You can remove the stigma around visiting a dentist through light-hearted Facebook content. Facebook gives you the platform you need to connect with prospects and remind them that you are all about people, not just teeth. Imagine a potential new patient looking for a new dentist in your area. He checks your Facebook page with convincing photos and testimonials that compels them to head to your website. Facebook makes it a lot easier for people to find you online. The quality content instills confidence in new patients and helps old ones to stay in touch with your practice. Getting the most out of Facebook for your practice can be challenging. But don’t worry. Here we present the 5 things that you must do to get yourself on the right track with Facebook. Facebook is the largest social media platform in the world with billions of active users. For dentists, it is easily one of the most important social media platforms to grow their practice. 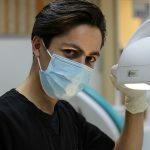 Every dentist needs a Facebook page to connect with their patients, prospects, and fans. Here is everything you need to know to make and optimize your Facebook page for your practice. Setting up a Facebook page for your practice is a free and simple process. If you have just started, all you need to do is follow these four steps to create your Facebook dental page. Go to the Facebook page creation page. Choose the right option for your dental practice on that page. Enter your business category and contact information. Upload an appropriate profile picture and cover photo for your Facebook page. After setting up your practice Facebook page, you need to include all the elements and additional tips on the page to get the most out of it. Verification adds a small gray checkmark to your Facebook name. It tells people that you are an authentic business. It also improves your page ranking in Facebook search results. Click ‘Verify this Page with documents.’ You can also verify your page by entering your business phone number, your country, and language. 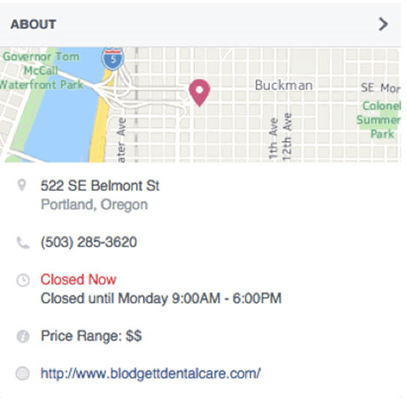 Enter information about your practice in the About section of your Facebook page. Include your business contact number, address, website URL and business hours. Try to provide your location on Google Map if possible. This makes it easier for new patients to locate you. The call to action button appears next to your page’s Like button. Facebook allows businesses to choose from a variety of call to action buttons, including options such as ‘Call now’ and ‘Book now.’ This makes it easier for prospects to call you directly from their mobile devices or schedule an appointment with a few clicks. Posting quality content regularly is a challenging task and requires a lot of dedication. Facebook is a community-oriented platform where users will engage with valuable information if it is presented in an easy-to-digest manner. People appreciate posts that provide valuable information and tips on maintaining a healthy lifestyle. Engage your patients and prospects through education posts about dental health. Stir their interest through content that not only promotes your expertise but shows that you care about the overall well-being of your patients. Since Facebook is a social networking site, people love to connect with others and learn their personal bits of information. Try to share details about your practice, your dental office, and team members. Sharing posts about your team members remove patient’s anxiety and bring them closer to your practice. Take the time to look for fun dental facts that will engage your followers. Content that put a smile on your patient’s face is also helpful in building loyalty. Sharing a fun dental fact, a quirky tip or anything that your patients find interesting compels them to share it with their own community and provides you the opportunity to reach to a wide range of audience and gain new patients. This can be an effective way to widen your customer base. Following a posting schedule is easily said than done. Posting content regularly is important when it comes to engaging prospects on Facebook. As a dentist, your time is valuable. You will be busy helping your patients and running your practice. Make sure you plan a reasonable Facebook posting schedule and commit to it. Don’t just ask people to buy your product or services on Facebook. Instead, show them the value your services have provided to patients. Promote and showcase your services by highlighting the people using it to show real-life results. Share about recently completed successful cases and post ‘before and after’ pictures, so that prospects can see your work. It is the best way to promote yourself on Facebook without pushing people away. If you are doing some good work for your community, share it with your followers on Facebook. Let them know about your involvement in community events. It provides your patients and prospects an opportunity to connect with you through a common cause. You also build a good reputation when people see the work you do beyond your practice. Facebook allows dentists to post highly targeted ads about their practice. 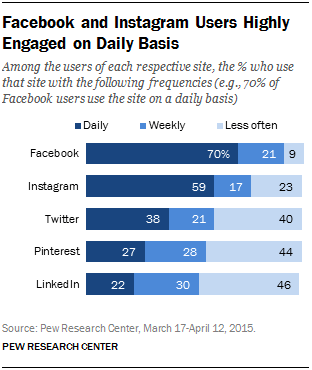 Ads published on Facebook has the potential to reach thousands of active users. There are over 4 million advertisers currently cashing in on Facebook’s ad network to reach their target audience. Facebook has access to personal information about users and knows more about them than any other social media network. They know their age, location, income, interests, family status, etc. which make Facebook ads highly successful. 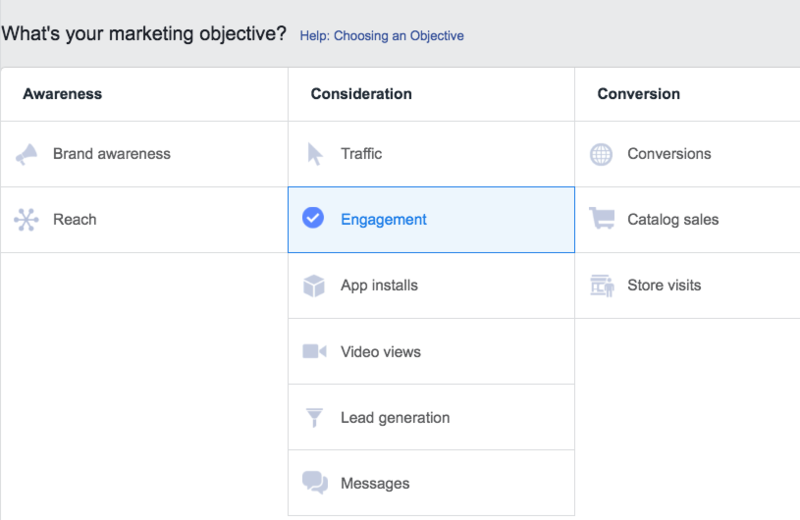 To create successful ads on Facebook, make sure you follow these important steps. Before starting a Facebook ad campaign, be sure your content has an objective. Tailor your Facebook ads according to the interests of your target audience. Know who to target and what you have to say. If you know the purpose of your ad, you will be in a better position to decide your target audience and what to say to convince people to take a specific action. After you know the purpose of your ad, it is time to decide your target audience. Target your ad to people who will likely resonate with the message and take action. The following tips will help you in targeting the right people to achieve your goals. If building awareness about your dental practice is your goal, you might want to target an audience whose interests are similar to your current patient population. If your aim is to fill spots left open by last-minute cancellation, target your current patient population. Because they are more likely to respond to the ad, as they already know your practice’s culture. A better practice to lure patients into an appointment is by offering a discount or a free upgraded service to the first person who responds. If you want to get maximum people into your sales funnel, the best people to target are the ones who have been to your website. Target them with an ad that gives them a call to action to download free content or a free consult based on their interests they’ve shown on your website. Photos and videos engage and drive more traffic to your website and result in more actions. Once you know the purpose of your Facebook ad and your target audience, you can try different versions your copy and check which version looks best. This can be done by creating a split test in Facebook’s ad manager. Split-testing ads is a powerful way to improve your results and lower your advertising costs. The split-testing ad makes it possible to know what words or visuals will resonate at a given time. To split-test an ad, you need to create an ad and duplicate it. Then you need to replace the text, image, or video, and submit it. Facebook groups are a great way for engaging your prospects and past patients. It also allows you to connect with peers, potential partners, and customers. Create a private Facebook group and offer access to your patients as part of a program. Regular patients would like to work more closely with you and connect with the like-minded people in a similar position. People must buy and request to join. Allow people to access this group by signing up to your newsletter or email list. Promote this group as much as possible to attract new people. It is important to engage the members regularly if you want to turn them into customers. Convince the members by showing you’re your work first hand. The people on your email list are considered a higher quality leads and are likely the prospects to take action. 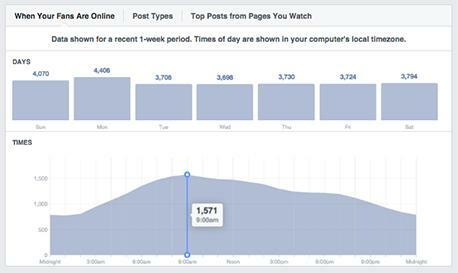 An important and powerful tool that allows you to measure the performance of your business page is Facebook Insights. Facebook analytics enable you to understand who your most engaged audience is and what type of content is driving the most traffic to your page. Unfortunately, most dentists overlook it because they don’t know which metrics they need to pay attention to. It gives you a view of everything that has happened on your page in the last. The three important measures you should focus here are page likes, post reach, and engagement. This section allows you to see how many people are visiting your page and where they are coming from. The important metrics in this section are the Page and Tab visits and External Referrers. This section provides you data about your page followers and when they are online. It also helps you to analyze how your posts are performing based on average reach and engagement. Another important metric to focus on in this section is the Top posts from the pages you like. It is a great way to keep track of your competitors and how they are reaching the audience. This tab on your dashboard lets you get to know your audience better by looking at three important metrics. They include Your Fans (who is liking your page, their age, location, gender, language, etc. ), People Reached, and People Engaged. Once you have a good understanding of Facebook page insights, these tips will help you get the most out of it. These tips will allow you to track the success of your dental practice marketing on Facebook easily and efficiently.